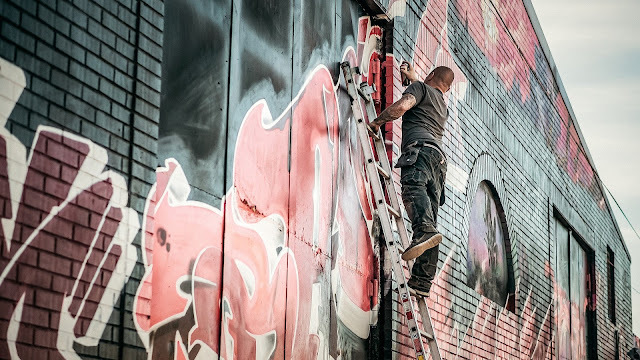 Do you recall when was the last time you did something to give your creativity a lift? All of us as human beings are buried with seeds of creativity waiting to come out. In order to achieve that there are certain activities you can employ, of which reading books are a surefire way to bring the best out in the creativity department. But these are not just any books. They are meant to improve your creativity skills because creativity inculcates the habit in you to question things; you wish if this can be done in a certain way instead of the traditional way or if you were just born to pay bills and die. What is it that you can do differently to make this world a better for yourself and your loved ones? We have compiled a list of such books for your reading pleasure. The book is an astounding read! The author, Daniel Kahneman is a psychologist by profession and also a holder of Nobel Prize in economics for his contributions to the field has beautifully crafted this masterpiece by highlighting reasons of exploration and structures that wires our brain into thinking the way we do. The book delves into explaining creative mind thinking and present it as a split of intuition and the other in terms of logical approach. Thinking Fast and Slow is basically the study of human mind and by reading it can make calculated decisions by mastering the two bits of mind (above). The book’s crux lies in the fact that you don’t have to be a genius in order to achieve creativity. So it’s better to be just yourself. Creativity is not limited to anyone but is available to everyone, everywhere. 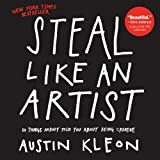 Steal like an Artist addresses the issue in a digital fashion by portraying the message engulfed in graphics, illustrations, exercises and certain examples so that the reader can benefit from the inventive and innovative drives. Another book on creativity focusing on how to leverage Play to the maximum. The idea behind is that we have forgotten the ways we used to play when we were kids. Now you will say, “What do you mean we should resort to playing with toys instead of adhering to our responsibilities?” Precisely. The adult life has made us believe that if we are in a state of constant worry and anxiety – it means we are being adults whereas, to engage in playful and fun activities is also an equal right of the adult. Hence, if it’s all work and no play, creativity is bound to be crushed. So yeah, the Play deals with putting this very perspective back into our lives. The ‘hairball’ reference in the title of the book refers to the status-quo in any organization that hinders the individuals in exercising creativity. Mr. Mackenzie says so because he himself has worked in the creative department for a number of years at Hallmark and can tell from experience. Therefore, he decides to educate his readers on how to keep their creative skills alive in a workplace that does not welcome creativity. The book lists down tips and mechanisms to deal with the bridge between such organizations and creativity. Penned down the by the founders of IDEO and Stanford Design school, the Kelley’s have provided ways in the book to bring out that dormant creativity inside us and how to channelize it to achieve artists like finesse. Also, in their book, Kelley brothers have mapped the need for creativity across different businesses and industries. Creative Confidence argues that creativity is crucial to our personal as well as professional lives and hence, states practical methods decision-making/problem-solving. The author narrates challenges what an artist faces. And that there always comes a time that makes them question their craft. So, in his book,helists down ways by means of which you can overcome those challenges or hindrances. It is only okay to experience roadblocks in the pathway to your creativity but to not surrender is key. In his book, Pressfield shares his own experiences before he became and how he mastered the craft before he became an author. The biggest culprit in all this is self-doubt so be confident in what you are pursuing. One of my personal favorites. Creativity Inc. is authored by Pixar Animation’s co-founder Ed Catmull. If you enjoyed Finding Nemo, Toy Story, Wall-E, Incredibles and other such sheer animation brilliance on screen, then what better to read the book of the man behind all of it? Pixar’s been dominating the animation industry for 20 years now and Ed Catmull presents the points on how to enact masterful storytelling and add depth to the lifeless characters. Mr. Lois lends insights on how to capitalize with inspirational snippets/pointers/imagery to nurture creativity. He argues that to get your point across both effectively and efficiently is part of the creative skillset few individuals possess. Lehrer’s approach is to cultivate creativity with the help references and facts in his book. He shares a multitude of thought processes that will unlock one’s mind's eye. One of the finest advertising experts known to the world, Paul Arden brings to the table that deals with problem-solving, helping you with answers to a brief, networking, making correct decisions and learning from mistakes. These activities enable creativity in a person if exercised in the right measure. So there you go, 10 creativity reads to give an edge over colleagues and circle of friends! We hope you enjoy them. The list is not exhaustive, thus, do not hesitate to tell us other books that we may have missed out on in the comments section, below. Jordan is an author himself and has a few bestselling books to his credit. He also loves to blog and can be contacted to write my assignment when he is not working on one of his book projects.